Server Technology offers new basic PDU’s providing data center power solutions. Server Technology announces the launch of a new family of Sentry “Basic” Cabinet PDUs. This family of products offers an economical solution for reliable power distribution within equipment racks and other data center applications. Basic PDU’s provide both power distribution and branch circuit protection for the 30-A rated devices. 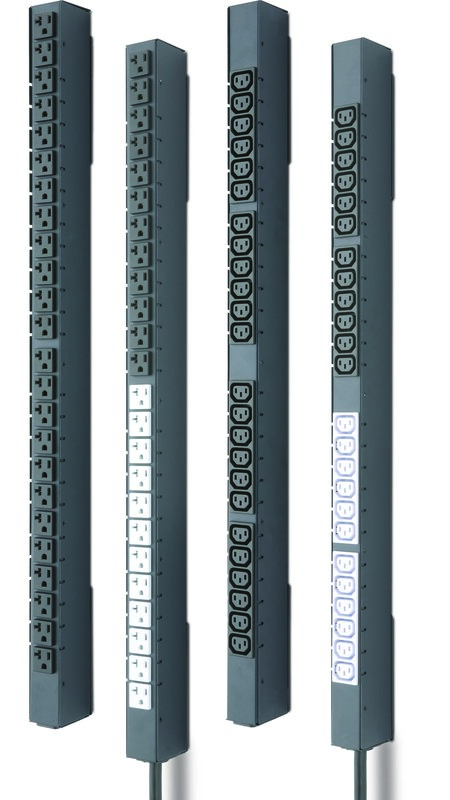 The Sentry Basic PDU offers multiple input and output connections to distribute 110V, 208V or 230V power with 20 or 30-Amp inputs. The 30-Amp models feature branch circuit protection and multicolored outlets to easily distinguish between each branch circuit. Branch circuit protection is accomplished via UL-listed Bussman® SC fuses for compliance with UL/CSA 60950-1 and EN 60950-1 standards. The Sentry “Basic” Cabinet Power Distribution Unit (PDU) family provides both a reliable and economical solution for providing data center power distribution needs. Server Technology, Inc. designs and manufactures intelligent power distribution products for enterprise data centers, service providers and branch office locations. Founded in 1984, Server Technology is recognized as a leader in innovative Remote Power Management solutions. The company’s line of Sentry™ power products eliminates unnecessary trips to remote locations and minimizes the impact of locked-up internetworking equipment on business critical networks, combining intelligent power distribution, remote management and power measurement. Server Technology is located in Reno, Nevada and can be reached at (800) 835-1515, or on the Web at http://www.servertech.com.